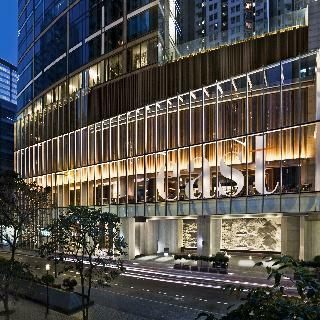 EAST, Hong Kong is a lifestyle business hotel by Swire Hotels. EAST, Hong Kong offers 339 rooms and 6 suites with harbour or urban views and state-of-the-art communications technology: 37-inch, high definition LCD TVs with numerous satellite and cable channels, the latest iHome / iPod-touch? 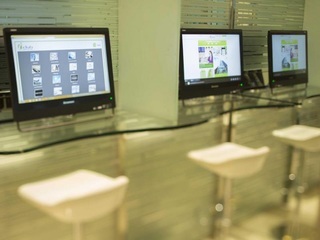 technology, simple connectivity for laptops and complimentary broadband / WiFi Internet throughout EAST, Hong Kong for savvy business travellers. EAST, Hong Kong also features a 24-hour gym Beast (Body by EAST) and an outdoor heated swimming pool. On the 1st floor, the casual all-day dining restaurant Feast (Food by EAST) serves international cuisine and authentic specialties of Asia, Feast's philosophy is 'simple things, done well'. Accessed by a distinctive bird's nest-style staircase, it has a takeaway menu including breakfast to go. On the 32nd floor, rooftop lounge bar Sugar (Bar.Deck.Lounge) provides an extensive al fresco terrace with views across the harbour. Sugar is a place to unwind, chill out on the outside deck, and offers signature and classic cocktails, tapas and nightly DJs. The venue is also available for private bookings during the day for private functions, meetings, team-building, launch events and parties. 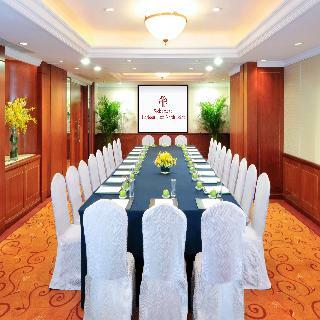 The hotel is conveniently adjacent to Tai Koo MTR station and just a short drive from Central, Hong Kong. Guests should note that rates are not valid within Asia. Featuring an outdoor pool and a free area shuttle service, Harbour Grand Hong Kong is a 5-minute walk from Fortress Hill MTR Station. Overlooking the beautiful Victoria Harbour, the rooms offer free Wi-Fi and wired internet access. 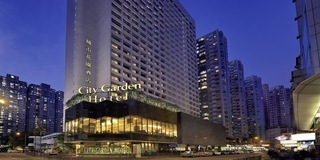 The hotel is 2 MTR stations from Causeway Bay and about 29 km from Chek Lap Kok International Airport. 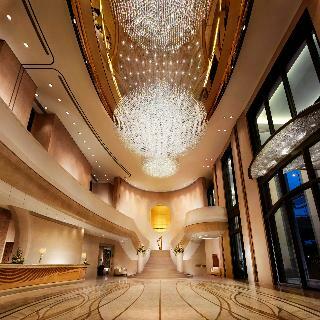 All guestrooms at Hong Kong Grand Harbour feature modern décor and panoramic city or harbour views. A flat-screen cable/satellite TV, minibar and DVD player are included. 24-hour room service is provided. Guests can take a dip in the 27-metre outdoor pool or visit the spa for pampering massage services. Daily workouts can be maintained at the fitness centre. 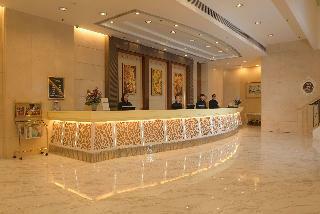 Harbour Grand also provides a tour desk and concierge services. Le 188° Restaurant & Lounge serves European cuisine and seafood. Cantonese dishes are served at Kwan Cheuk Heen Restaurant. Other dining options include Harbour Grand Café and Nagomi Japanese Restaurant. *Pool closed for maintenance from 14th December 2015 to 2nd March 2016. 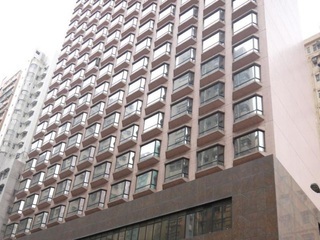 This 4 star hotel is located in the city centre of Hong Kong and was established in 2014. This Hotel is ideal for both business and leisure travelers, being in close proximity to the vibrant retail and dining hub of Causeway Bay. With Fortress Hill Station within a 5-minute stroll, guests enjoy easy access to Hong Kong's must-see tourist destinations and the business hub.Modern rooms and suites measuring up to 600 sq. ft. include free Wi-Fi, flat-screen TVs, and tea and coffeemakers. Upgraded rooms and suites have access to a club lounge with complimentary drinks, snacks, cocktails and conference room use. Suites have living areas with dining tables. Room service is available. There are three dining options, including an acclaimed Cantonese restaurant and a laid-back eatery serving an international buffet, along with a lounge. Along with a smoke-free environment, complimentary Wi-Fi, a 24-hour fitness center and an outdoor swimming pool and hot tub. Catering to casual diners and connoisseurs, our restaurants offer authentic Cantonese fare, international cuisines, Singapore favorites as well as warm and attentive services. In addition to the award-winning restaurant, YUÈ, one of the most sought-after Chinese restaurants of the district, Garden Café attracts food lovers with its international buffets and craft beers, while Satay Inn delivers time-honored, authentic Singaporean dishes. Conveniently located in the Eastern District of Hong Kong Island, Harbour Plaza North Point is just one-minute walking distance to MTR Quarry Bay Station (Exit C), ten-minute to shopping district Causeway Bay, five-minute to commercial hub Taikoo Place and "Cityplaza" - renowned shopping centre. The hotel facilities include 25-metre outdoor swimming pool, fitness centre and complimentary shuttle bus to Airport Express Hong Kong Station in Central, Wan Chai (during selected fair periods), Causeway Bay and Taikoo area. Other tourist attractions connected to MTR include The Peak, Ngong Ping 360 as well as Hong Kong Disneyland. This charming hotel is conveniently located in the bustling east side of Hong Kong Island, with excellent public transportation links. The North Point metro station is only a 2 minutes' walk away and there are bus and tram connections not far away from the premises, allowing its guests easy access to the main points of interest of the city like popular shopping centres or Hong Kong International Airport. Guests can enjoy the luminous and spacious guest rooms and suites available for them, which are smartly equipped with all the necessary amenities for a pleasant stay either on leisure or business. Moreover, visitors may choose to try the mouth-watering Chinese and Japanese specialities that are served at the on-site restaurants. Convenient location. Very spacious room with lots of storage space. Good Chinese restaurant in the hotel.